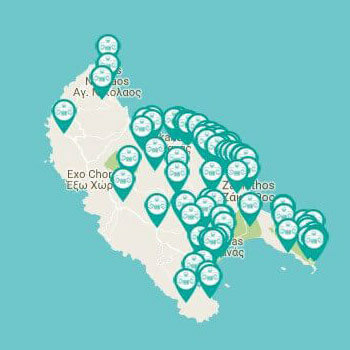 Calypso Villas are located on a private estate in the quiet and relaxing resort of Amoudi, built on a slope overlooking the dazzling crystal clear blue waters of the Ionian Sea. 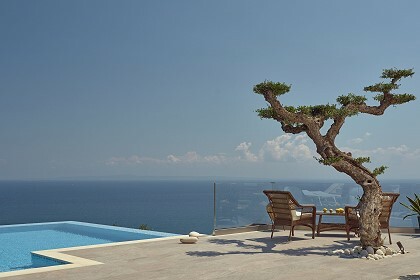 The beautiful area of Amoudi is 1km from the resort of Alykanas. The villas are set in beautiful attractive landscaped gardens amid verdant countryside with an abundance of pretty flowers. Amoudi is the ideal location for families and couples who are looking for relaxing and quiet surroundings not too far away from a main resort. Calypso Villas consist of six individual villas suitable for 2-8 persons designed in unique Zakynthian architectural style surrounded by colourful gardens and an exotic beach front, a superb setting for relaxation and privacy. 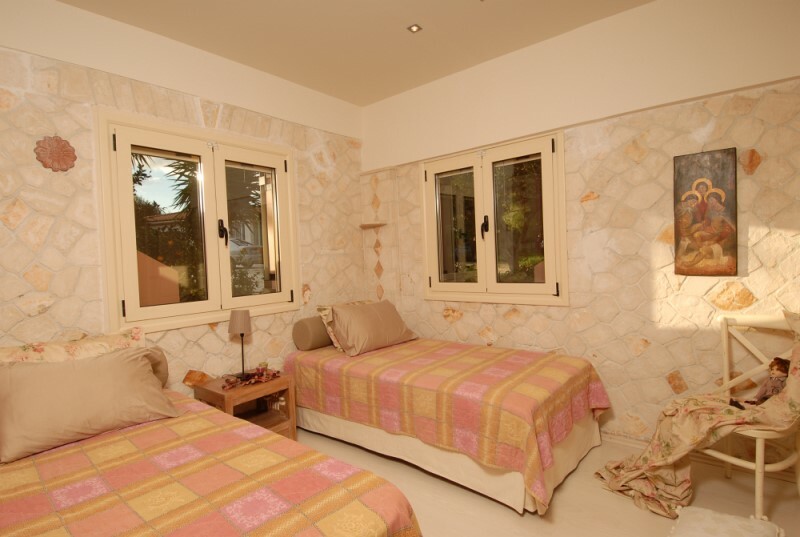 The villas are beautifully decorated and have double or single beds, fully equipped kitchens, private bathrooms with bath, air-conditioning, TV and spacious verandas with magnificent views over the gardens and sea. The friendly family owners are happy to assist with anything you may need during your stay and offer a number of features and facilities to make your stay a comfortable one including air-conditioning, fully equipped kitchens, fridge, TV, CD player, radio, safety deposit box, iron, hairdryer, bed linen, internet access, washing machine and much more. 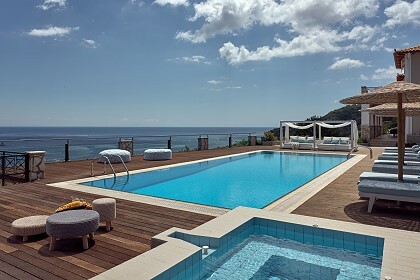 Calypso villas are located in the beautiful unspoilt village of Amoudi, on the north coast of Zakynthos. Amoudi is a village that has not been commercialised and therefore is still traditionally Greek, relaxing and peaceful with lush green countryside and pretty wild flowers. Amoudi has a warm and friendly village atmosphere where many visitors return year after year. 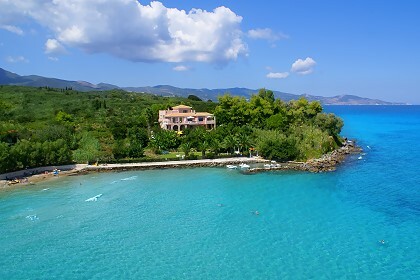 The villas have been built on the beautiful coastline that is a continuation of Alykes and Alykanas and has magnificent views over the Ionian Sea. The nearest resort of Alykanas is within walking distance and has many local shops, restaurants, bars and tavernas waiting to be explored.